Mali has been engrossed in civil war since January 2012, when separatists in Mali’s northern Azawad region began demanding independence from the southern, Bamako-based government. After forcing the Malian military from the north, however, the separatist forces soon became embroiled in a conflict of their own, between the original Mouvement National pour la Libération de l’Azawad (MNLA) and extremist Islamist splinter factions closely linked with Al-Qaeda. On 11 January 2013, France responded to Mali’s urgent request for international assistance and initiated ‘Operation Serval’ to aid the recapture of Azawad and defeat the extremist group. From the 18th, West African states began reinforcing French forces with at least 3,300 extra troops. In a BBC ‘From Our Own Correspondent’ editorial, Hugh Schofield wrote of ‘la Francafrique’, or France’s considerable interests in West Africa held over from the end of formal empire. In fits and spurts, France has sought to extract itself from la Francafrique and to seek a new relationship with the continent. But in the complex world of post-colonial relationships, such a move is difficult. France retains strong economic, political, and social links with West Africa. Paris, Marseille, and Lyon are home to large expatriate African communities. Opinions at l’Elycée Palace, too, have wildly shifted over the years. Jacques Chirac, at least according to Schofield, was ‘a dyed-in-the-wool Guallist’, and an ideological successor to a young François Mitterand who, in 1954, defiantly pronounced that ‘L’Algérie, c’est la France’. Nicolas Sarkozy, on the other hand, dramatically distanced himself both from Chirac and from the la Francafrique role. The problem is, at least in part, topographical in nature. West Africa’s geography is dangerous, vast, and difficult to subordinate. On the eve of much of West Africa’s independence from France in 1961, R J Harrison Church spoke of the so-called Dry Zone, the area running horizontally from southern Mauritania across central Mali and Niger, as the great “pioneer fringe” of the region’s civilization. David Hilling, in his 1969 Geographical Journal examination, added that by “taming” the Saharan interior, France gained an important strategic advantage over their British rivals in the early twentieth century, enjoying access to resources unavailable along the coast. But, as A T Grove discussed in his 1978 review, “colonising” West Africa was much easier said than done, and the French left a West Africa mired in dispute, open to incursions, and still heavily reliant on the former imperial power. The French relationship with the region’s extreme geography was difficult at best; political boundaries were similar to those of the Arabian Peninsula and the Rub ‘al-Khali in particular: fluid, ill-defined, and not always recognised by local peoples. European-set political boundaries only exacerbated tensions between indigenous constituencies who had little or no say in the border demarcations. French and African efforts to dam the Niger River, for instance, were hampered by high costs, arduous terrain, and political instability well into the 1960s. On independence, the French left what infrastructure they could, mostly in West Africa’s capital and port cities; the vast interiors were often left to their own devices. As a result of these events, France has maintained a large military, economic, and social presence in the region ever since. The difficulty is that such areas under weak political control, such as the Malian, Somalian, and Sudanese deserts, have become havens for individuals who wish to operate outside international and national law. R J Harrison Church, 1961, ‘Problems and Development of the Dry Zone of West Africa‘, The Geographical Journal 127 187-99. David Hilling, 1969, ‘The Evolution of the Major Ports of West Africa‘, The Geographical Journal 135 365-78. A T Grove, 1978, ‘Geographical Introduction to the Sahel‘, The Geographical Journal 144 407-15. Ieuan Griffiths, 1986, ‘The Scramble for Africa: Inherited Political Boundaries‘, The Geographical Journal 152 204-16. 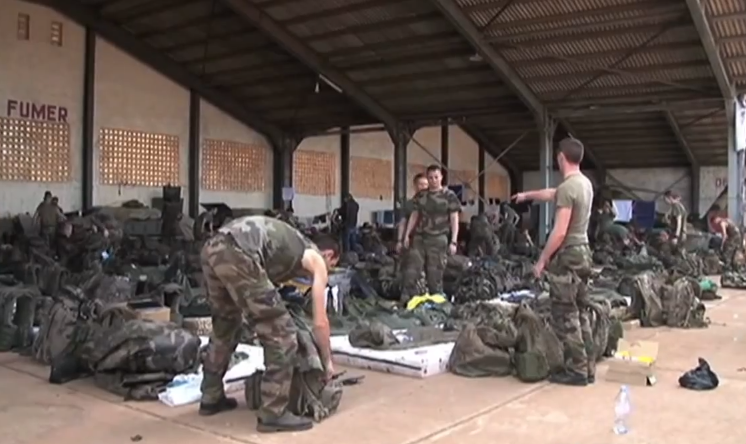 ‘Le Mali attend le renfort des troupes ouest-africaines‘, Radio France Internationale, 19 January 2013, accessed 19 January 2013. Hugh Schofield, ‘France and Mali: An “ironic” relationship’, BBC News, 19 January 2013, accessed 19 January 2013. Edward Behr, 1958, ‘The Algerian Dilemma’, International Affairs (Royal Institute of International Affairs 1944-) 34 280-90. 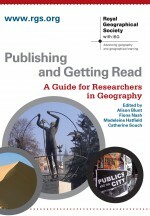 This entry was posted in The Geographical Journal and tagged A T Grove, Afria, Al-Qaeda, Algeria, Arabia, Azawad, Bamako, BBC, c'est la France, Charles de Gualle, Cultural Geography, David Hilling, François Mitterand, France, From Our Own Correspondent, Global Issues, Hugh Schofield, Islamist, Jacques Chirac, l'Algérie, la Francafrique, Lyon, Mali, Marseilles, MNLA, Nicolas Sarkozy, Niger River, Paris, Political Geography, R J Harrison Church, Social Geography, West Africa on January 20, 2013 by Benjamin Sacks.